Bengal cat breeders registered with the G.C.C.F. Our pedigree Bengal kittens are bred from stunning brown spotted Bengal cats with glitter and rosettes. Cat breeding has become a real passion for us. All of our kittens are reared in the house. Please feel free to email or phone us for details should you be looking to buy a special Bengal kitten this year. Both the Nevaeh & Leopardstar prefix's are registered with The Governing Council of the Cat Fancy and we adhere to the G.C.C.F. code of ethics. We are situated close to Salisbury, Wiltshire only 5 minutes from the A303, within easy reach of Dorset, Hampshire, Somerset, Gloucestershire, Oxfordshire, Berkshire and The South West. London is 1 ½ hours and The Midlands (Birmingham) is approx. 2 hours. We are 1hr 20min from London Heathrow. We are also only 3 miles from the famous landmark Stonehenge so you could combine a visit. Nevaeh Bengals & Leopardstar Bengals are 3 generations of hobby Bengal cat breeders, breeding high quality pedigree domestic Bengal kittens in the South of England. We occasionally have some stunning Bengal kittens for sale. Our Bengal kittens are bred in the home so they are really friendly, used to all sorts of household noises and completely litter trained. They have excellent temperaments as they have been handled daily from birth. They are neutered, GCCF registered, fully vaccinated, wormed, insured (4 / 5 Weeks) and you will receive a free Bengal kittens pack to help settle your new Bengal kitten into its new home. 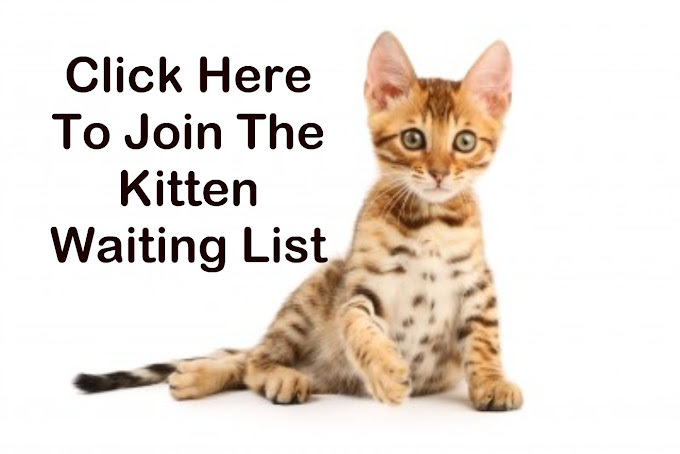 Our Bengal kittens come with a free Bengal kitten pack, a full course of vaccinations, free 4 weeks of insurance, GCCF registration and a 5 generation pedigree and will be neutered.